We are bargaining our new contract and need your feedback. A bargaining survey was emailed to all bargaining unit members. Completing the survey won’t take long, and your input is critical. If you have ideas or suggestions beyond our prompts, please enter them in the fields at the end of each category. NOTE- We have had some technical problems with the survey that have since been resolved. 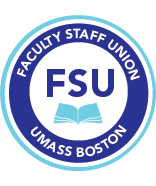 Bargaining unit members should have received an additional email from the FSU with further instructions on how to take the survey (contact the FSU if you are a current bargaining unit member but did not receive an email to take the survey). Thank you for your time! Your participation will help shape YOUR contract.